A Wide sandy beach under the sun near a green, shady pine-wood and the lake. "This is Paradise", exclaimed Giacomo Puccini when he first came here in a shooting party wiht some friends.Today this lovely part of Tuscany still preserves its natural landscape and is an excellent place for a relaxing holiday. 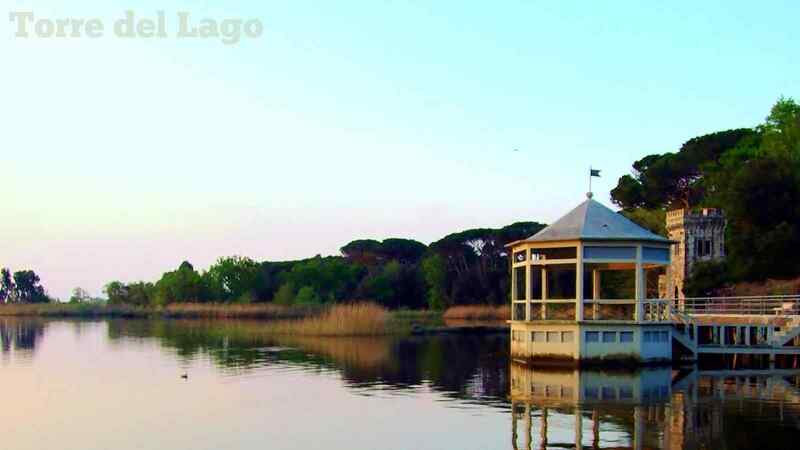 Being ideally situated between Lake Massaciuccoli and the Tyrrhenian sea and in closeproximity to the Apuan Alps and the Migliarino-S.Rossore-Massaciuccoli Natural Park, Torre del Lago Puccini is the perfect point of departure for trips in the area or to the art centres and other towns nearby. The villa where the composer Giacomo Puccini lived houses document and mementos of his life. The annual Opera Festival, which has been held on the lakeside near his house every summer since 1930, combines the suggestive magic of the music and the beautiful setting to make an evening at the opera an unforgettable experience. Torre del Lago Puccini, also interesting from a naturalistic point of view, is one of the quietest seaside resort along the versilia coast;Versilia offers people of all ages an extremely lively atmosphere with its discos and seafront promenade where the tourist can enjoy walking, shopping or simply sitting at a table in ane of the manyoutdoor cafès.Torre del Lago Puccini is easily reachable:-by rail: Rome-Genoa line -by car: the Aurelia State Highway links with Motorways All to Florence and A12 Genoa-Livorno -by plane: the Galileo Galilei Airport in Pisa is only 15 Km Away;-by boat: Torre del Lago is only 5 Km from the famous tourist port of Viareggio. Tramite autostrada è raggiungibile dal sud, attraverso Autosole A1, fino a Firenze, e poi attraverso la Firenze Mare A11 e la Livorno-Genova A12. Dal Nord attraverso Autosole A1 fino a Parma e poi l'autostrada della Cisa A15 fino a S. Stefano, e quindi A12 Genova-Livorno. Through motorway is reachable from SOUTH, through Autosole A1, as far as Firenze and then through the Firenze Mare A11 and the Livorno-Genova A12. From NORTH through Autosole A1 as far as Parma and then through the Cisa A15 to S.Stefano, and then through the A12 Genova-Livorno. 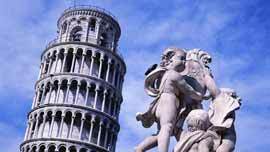 The international airports in Pisa, Genoa and Florence provide reliable transport to the main city.